Rejection is incredibly disappointing. But rejection of romantic feelings you've expressed to someone can be even worse. Perhaps you thought your friendship was blooming into romance, until you asked him to dinner - just the two of you. When he blithered on about how busy he is and the hundred things he has on his agenda and said something about you being a great person, you knew how he really feels about you. Or when you called the woman you met at a party and she accepted your dinner invitation, you hoped your first date would be a blast. Until the check came and she insisted on paying half. She explained she "wants to be considerate and doesn't want to send a false signal." Ah, yes. The dating world may be smooth sailing one minute, and rough seas the next. It is important to remember that there are two sides to every rejection. And you may not know what is on the other side. While you may feel hurt, disappointed, or embarrassed that your romantic feelings aren't returned, the other person may be on the rebound from a failed relationship, concentrating on work, or attracted to someone else. The thing is, we all have the opportunity to be on either side of the situation at any given time. Regardless of which side you happen to land on, always remain courteous, considerate, respectful, and honest: the core of what grounds etiquette. And good relationships. You might have the urge to hurt back. But stop, and remember you can count on courtesy to see you through the moment. 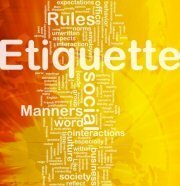 Courtesy requires that you show politeness in attitude and behavior towards another. It prefers that you go with the social conventions of niceness especially when a buffering of emotions is needed. You can’t make another person like you. But what are some kind words he has said about you? Reply accordingly: “Thank you for saying that you appreciate me as a person and friend. I feel the same about you.” That’s a considerate thing to do. 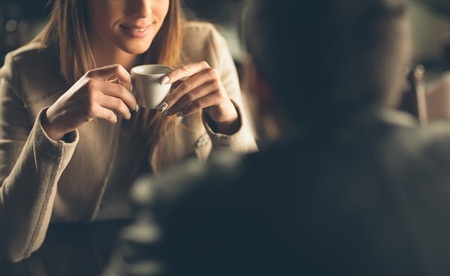 It can be ego-deflating to have your image of yourself challenged with “Not interested, thank you.” But you will be proud of yourself and leave a positive impression if you are honest. It’s perfectly fine to express your honest disappointment. Ultimately, being honest and realizing that the other person has been honest, too, will bring greater self-confidence. It might feel like the end of the world, but make sure the trail you leave behind you isn’t cluttered with hasty remarks. Let no words of negativity prevail. If the person who rejected you is someone you see regularly - at work, classes, organization meetings, church, etc. - do your best to set your disappointment aside and continue your relationship in the same capacity as before you expressed your feelings. Fight the urge to shy away in embarrassment. An honest expression of feelings is nothing to be embarrassed about. Nor is the fact that you were rejected. Consider it a rite of passage. One that will bring you a step closer to the someone wonderful you've always wanted. Let's face it, even if your romance never took flight, sometimes the thoughts and feelings of what might have been are tough to get past. This is not the time to continue seeking companionship from the one who turned you down. After all, there are laws against stalking. But it is important that you talk to someone. A close friend, parent, counselor, or minister can help when you are really low, and will give you a good sounding board. However, sharing your disappointment indiscriminately will only contribute to the gossip mill. Choose your words and your confidantes carefully. You truly never know how this type of situation may play out in the future. Reach out and spend time with people who are positive and make you feel good about yourself. Because you should always aim to feel good about yourself no matter how anyone else feels about you!